“But service users have now occupied the building for a month in opposition, while councillors have criticised a lack of public consultation on the move and this week set up a working group to scrutinise the process further. The News understands Ms Denman accused the committee of a negative and hostile attitude. Cllr Kilian Bourke, scrutiny chairman, said: “We had a very robust scrutiny session where we asked the mental health trust some frank questions and got some answers. “It accepts responsibility for the lack of consultation and plans to address this. 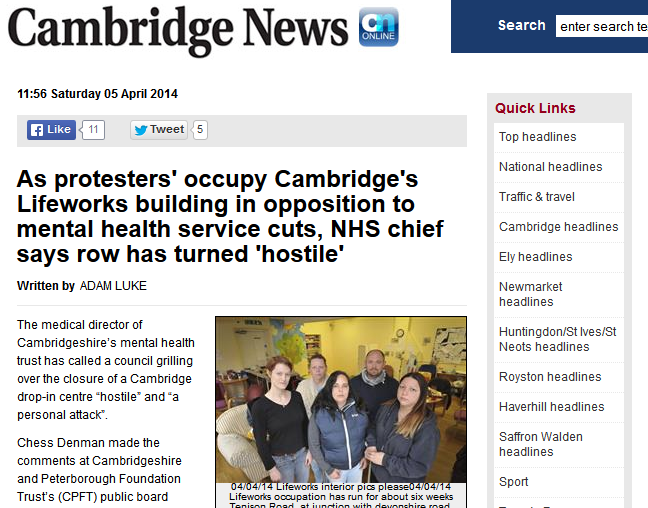 Where is Aidan Thomas, former Chief Executive of Norfolk & Suffolk NHS Foundation Trust (NSFT), now working? Click the image to read the full story or comment below.